Transportation damage or poor preparation during a pre-delivery valet due to inexperienced ‘fleet’ valeting companies. 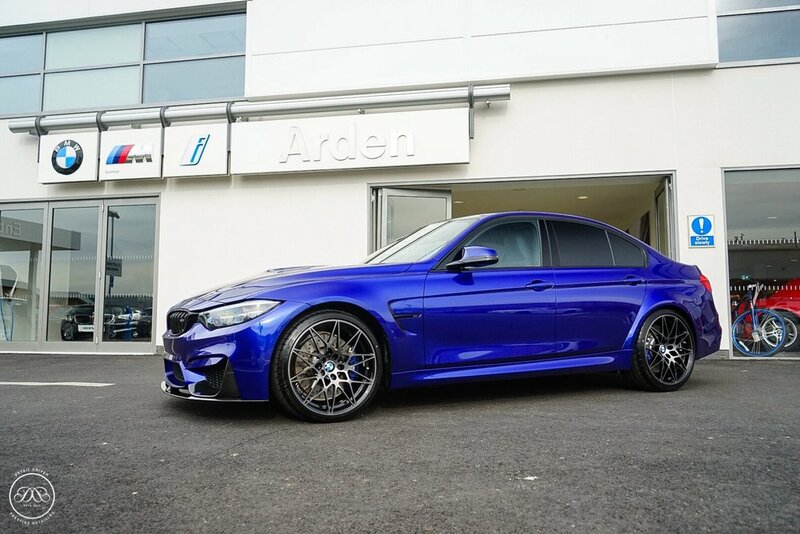 When purchasing your new pride and joy the dealership will often try and sell and promote their own “lifetime paintwork protection system” which they say will protect your car for the lifetime of your ownership, not only is this almost impossible but the products used are merely sub standard polishes. More often that not inexperienced fleet workers who often cause more damage than good apply these products. When a dealership prepares your New Car they will spend 1-2 hours maximum, when Detail Driven prepares your New Car, I will spend 3 days minimum! This option differs from a protection detail as a new car requires meticulous inspection for damage, marring, scratching and localized defect correction carried out. It is suggested you ask your dealer not to wash your new vehicle at all, or at least do the bare minimum. Detail Driven will spend the time inspecting the vehicle post delivery for any imperfections or damage, where possible minor imperfections and damage will be removed and if required via machine polisher. Your pride and joy is then treated to some of the most durable, refined products currently available to the industry. Ceramic coatings are applied to Paintwork, Glass, Wheels and Trim. All interior surfaces are then cleaned and protected from leather to plastic or fabric to rubber every surface is cleaned and treated, not only for protection but to maximise its appearance and prolong its appearance for as long as possible. Pre Rinse and Snow Foam. Arches, Shuts and Engine Bay Cleaned and Degreased. Wash using Two Bucket Method using a wool wash mitt. Tar and Iron fallout removed from all exterior surfaces. Paintwork Clay Barred to remove bonded contaminants such as sap and industrial fallout. Paintwork inspected for imperfections, marring or damage and paint depth readings taken. Single stage machine polish to remove any defects, swirling or marring and improve clarity and enhance appearance. Paintwork wiped down and inspected in preparation for coatings. Gyeon Quartz Ceramic coating applied to Glass to aid water sheeting and beading in bad weather conditions. Gyeon Quartz coating applied to all rubbers, engine bay covers and plastics to prevent staining and discolouration. Gyeon Quartz Ceramic coating applied to wheels to prevent brake dust build up, tar spots and aid easy maintenance. Exhausts/Chrome polished and Heat resistant coating applied to prevent coking and soot build up. Interior hoovered and cleaned, plastics and leather wiped down. XPEL Ultimate Paint Protection Film, Standard and Full Kits Available. 10 Year Guarantee, Self Healing Film installed to protect your car from stone chips, scratches and light damage. When contacting please ensure you provide accurate information regarding the make, model and colour of your vehicle to allow for accurate quotation. Please note, due to timescales involved as part of our booking process small non refundable deposits are required to secure your booking slot. Ready to book one of our services?